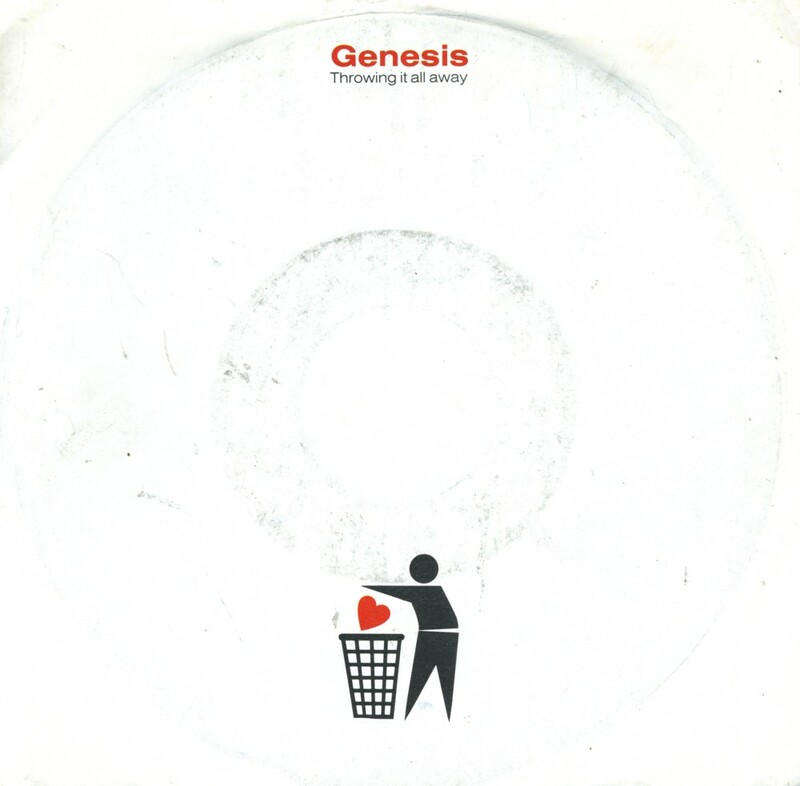 Genesis had a good run of hit singles after the release of 'We can't dance', their last album with Phil Collins. The album was a far cry from their experimental-folkrock-psych beginnings, sounding more poppier than they ever had. 'Jesus he knows me' was the fourth single from the album, a satire of televangelism as performed by people like Jimmy Swaggart, Robert Tilton and Jim Bakker. It was a hit in most countries where it was released, peaking at number 20 in the UK, number 23 in the USA and number 11 in the Dutch Top 40. 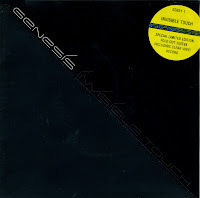 'Throwing it all away' was released as the last single from the Genesis album 'Invisible touch' in the summer of 1987. It reached number 22 in the UK singles chart and number 4 in the US Billboard Hot 100 chart. The sleeve uses an adaptation of the Tidyman logo from the Keep Britain Tidy Group. 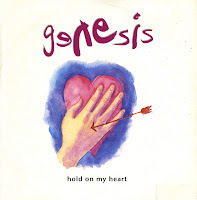 'Hold on my heart' is one of the few ballads released as a single by Genesis. Taken from their 1991 album 'We can't dance', it was released as the third single in April 1992. The single reached number 16 in the UK singles chart and number 12 in the US Billboard Hot 100 chart. In the Dutch Top 40, 'Hold on my heart' reached number 11. 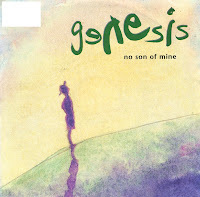 'No son of mine' was released as the first single from Genesis' 1991 album 'We can't dance'. The lyric tells the story of a boy who runs away from his abusive home, and - after some reconsideration - attempts to return, only to be rebuked by his father. In interviews, Phil Collins has said that the lyrics are deliberately vague as to whether the narrator or his mother is the victim of the abuse. The track is notable for a distinctive sound heard during the intro and before the second verse. 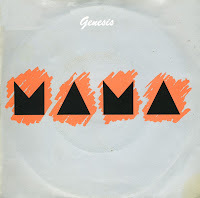 Referred to by the band as 'elephantus', the sound was created by Tony Banks recording Mike Rutherford's guitar with a sampler and then playing three notes on the bottom register of the keyboard, greatly lowering the pitch. 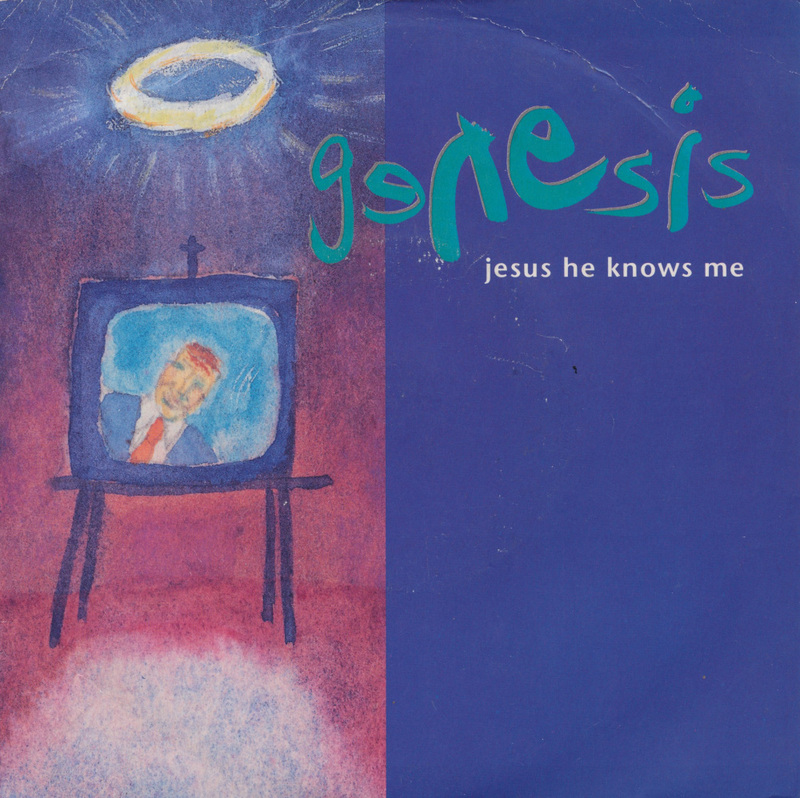 The single relaunched Genesis' career after four years absence from the charts, peaking at number 6 in the UK singles chart and number 8 in the Dutch Top 40. 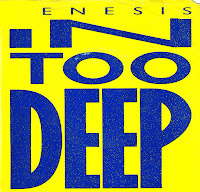 'In too deep' was recorded for Genesis' 1986 album 'Invisible touch'. It was released as the second single from the album in the UK and the fifth single in the USA. It was to be the band's final single in the USA until 'No son of mine' (1991). The single peaked at number 19 in the UK singles chart and number 3 in the US Billboard Hot 100 chart. The nicest feature of this single is the sleeve: the label which carries a photograph of flowers is visible through a larger hole at the front, whereas the back cover is entirely brown and doesn't have a hole in it. 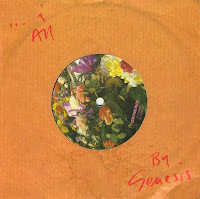 'That's all' is a group composition by Genesis with lyrics written by Phil Collins. Released as the second single from their self-titled 1983 album, it reached number 16 in the UK singles chart and number 6 in the US Billboard Hot 100 chart. Most people remember the song for Phil Collins' sinister laugh halfway through. Producer Hugh Padgham revealed that the inspiration for the laugh came from rap music pioneer Grandmaster Flash's song 'The Message'. The single reached number 4 in the UK singles chart and number 7 in the Dutch Top 40. 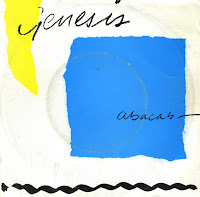 If you're wondering what 'Abacab' means: you're not alone. In an interview, Genesis guitarist Mike Rutherford explained in an interview that the band labeled various sections of the song with letters of the alphabet, and at one point the sections were ordered A-B-A-C-A-B. Rutherford commented that the completed song no longer followed this format, but the name was kept nevertheless. The song was the title track of the 1981 album by Genesis. It was released as a single in August 1981. It peaked at number 26 in the US Billboard Hot 100 chart, number 9 in the UK singles chart and number 26 in the Dutch Top 40. 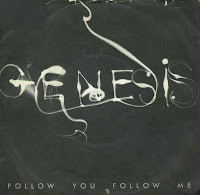 I didn't hear 'Follow you follow me' until the second half of the Eighties, and I couldn't believe this was a song from 1978. The track was taken from Genesis's ninth studio album 'And then there were three...', a title to reflect the departure of band member Steve Hackett, reducing the band to a trio. This lineup would last until 1996, and give them their biggest mainstream successes. The slow, sentimental ballad was composed by the band with lyrics by Mike Rutherford. The band had concluded that their music was attracting mainly male audiences, and this song was a deliberate attempt to attract female audiences as well. The strategy worked: they had their first top 10 hit in the UK (peaking at number 7) and their first top 40 hit in America (peaking at number 23). It was also their first single hit in the Netherlands, where it peaked at number 17 in the Dutch Top 40. 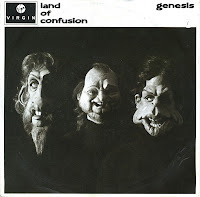 'Land of confusion' was composed by Genesis, while the lyric was written by band member Mike Rutherford. It discusses the greed and uncertainty of the Cold War-era Eighties, but also evoke a sense of hope for the future. The song is remembered by most people for its music video, in which puppets from the Eighties show Spitting Image were used to portray the band and several contemporary politicians. The single reached number 4 in the US Billboard Hot 100 chart, number 14 in the UK singles chart and number 8 in the Dutch Top 40. 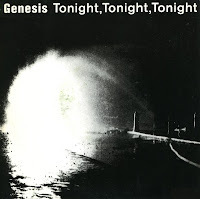 'Tonight, tonight, tonight' is a track on the 1986 album 'Invisible touch' by Genesis. It is the second longest song on the album at 8 minutes and 53 seconds. When it was released as the fourth single from the album, the track was edited down to 4 minutes and 30 seconds. The single reached number 18 in the UK singles chart, number 3 in the US Billboard Hot 100 chart and number 23 in Germany. In the Netherlands, this single did not chart. 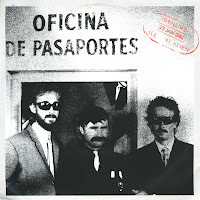 The lyric of 'Illegal alien' are a humorous depiction of the frustrations an illegal immigrant faces, leading up to the chorus: 'It's no fun/Being an illegal alien'. Even though the lyrics are intended as a satire and to be taken in jest, it can easily be misinterpreted as making light of the problem of illegal immigrants. 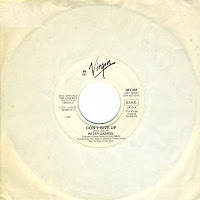 The single did not chart in many countries, but did reach number 46 in the UK singles chart. 'Invisible touch' was the title track of Genesis' 1986 album and released as its first single. The song came about during a jam for the second parts of another album tracks 'Domino/The last domino', Mike Rutherford apparently playing a riff while Phil Collins improvised the line 'She seems to have an invisible touch'. It was recorded at the band's studio Fisher Lane Farm during 1985 and 1986. This limited edition version of the single came in a foldout sleeve with a clear vinyl record. While not a hit in the Netherlands, the single reached number 15 in the UK singles chart and number 1 in the US Billboard Hot 100 chart. As Genesis had been recording and touring constantly in 1977 and 1978, it was decided by the members Tony Banks, Phil Collins, and Mike Rutherford to take the majority of 1979 off. Banks and Rutherford started working on solo material, while Collins made an attempt to save his marriage by following his wife to Canada. This didn't work, and so Collins returned to the UK and started working on solo material of his own, as well as new songs for Genesis. 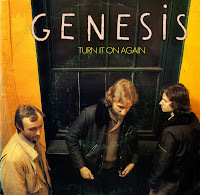 'Turn it on again' appeared on their comeback album 'Duke' (1980) and subsequently became a live favourite. It peaked at number 8 in the UK, whereas it only made number 38 in the Netherlands.